SciFest is an annual summer event where undergraduates display the results of their summer research. An effective method for expanding your undergraduate Neuroscience education is to gain valuable lab experience. There are several ways to gain this experience. Lab experience is part of the Senior Honors program. There are summer research opportunities at Brandeis. Neuroscience labs often offer either paid or volunteer opportunities during the academic year. Scientific research does not stop at Brandeis University even after the academic year concludes. Every summer we have 100-120 undergraduates on campus doing research, including students from Brandeis and from other institutions. Completing a senior research project is another option for an undergraduate neuroscience senior interested in undergraduate research. The senior must submit a petition at the beginning of the fall semester. If this petition is approved, the senior must complete a senior research project; and then submit and defend a thesis in late spring. Working in a lab sometimes results in co-authoring a research publication. 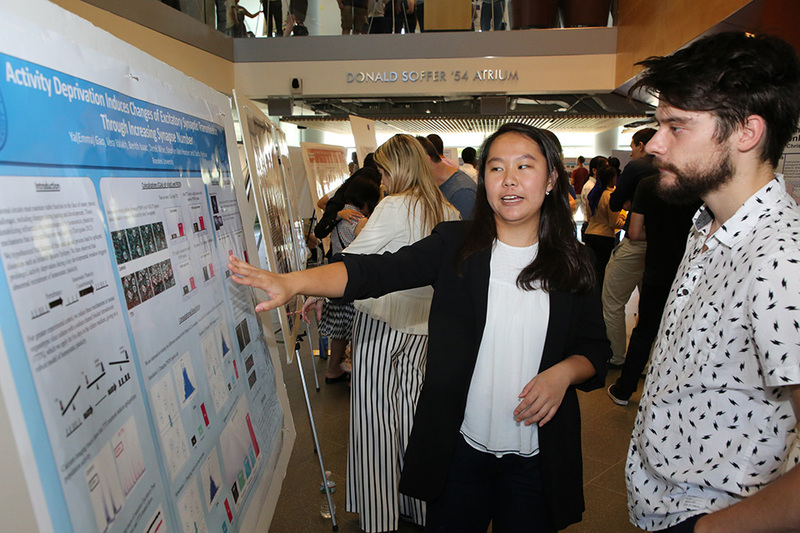 Since 2003, Brandeis undergraduates in the Division of Science have been co-authors on approximately 400 peer-reviewed research publications in scientific journals. View undergraduate publications data. Interested in lab research? The undergraduate program at Brandeis offers opportunities to motivated neuroscience undergraduates to gain research lab experience while working in paid or unpaid positions. Visit find opportunities to learn more.